Noodler's Colorado Spruce | Inkdependence! As far as I'm concerned, Thanksgiving is the earliest I can put up my Christmas lights, so it's also the right time to start thinking about Christmas trees. 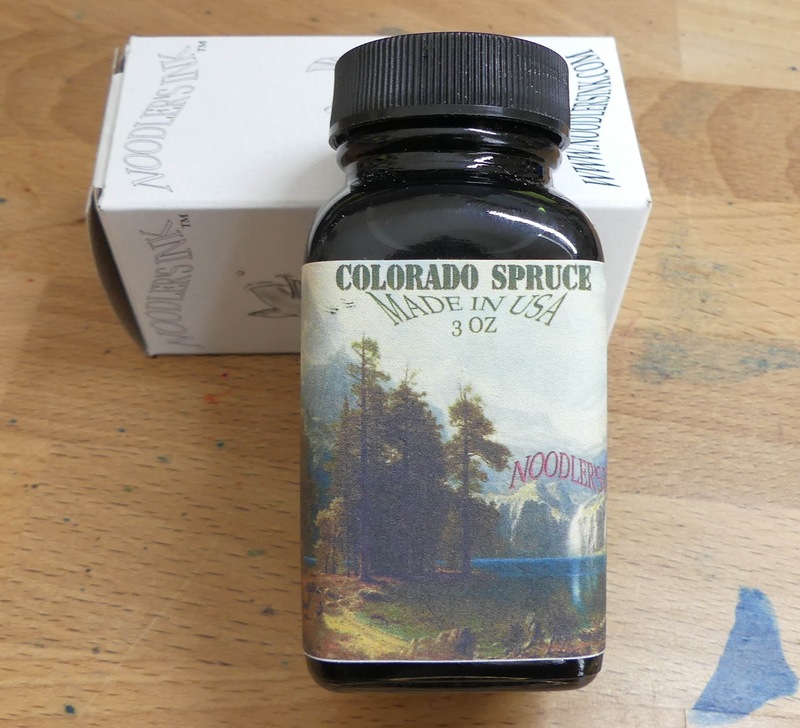 Some of those are spruce trees! See? It all links up! Alright, maybe a stretch, but I've only started my first cup of coffee while watching the Macy's Parade. It's a silly morning. 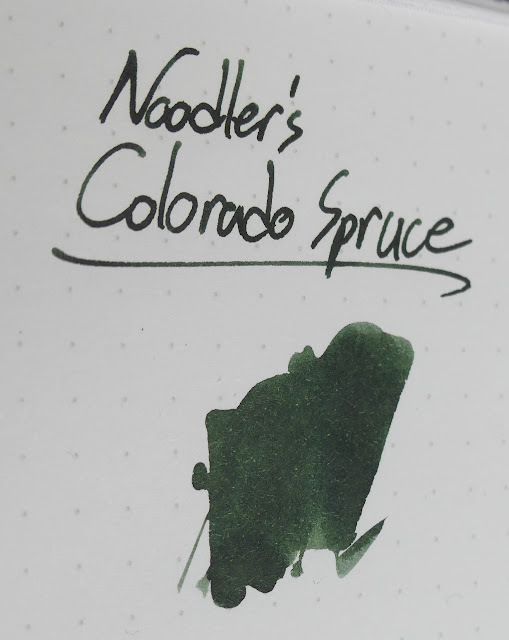 Anyway, this Noodler's ink was made for the Colorado Pen Show in 2016 and that's where I bought it. 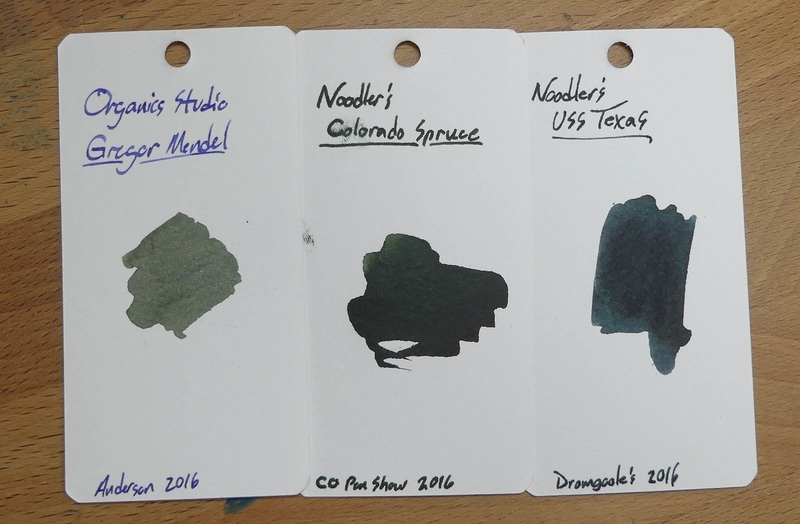 I got mine straight from Luxury Brands, the Noodler's distributor in the US. While it was a limited release, the Facebook page said they still had some bottles after the show, so you might contact them about where to find one for yourself. 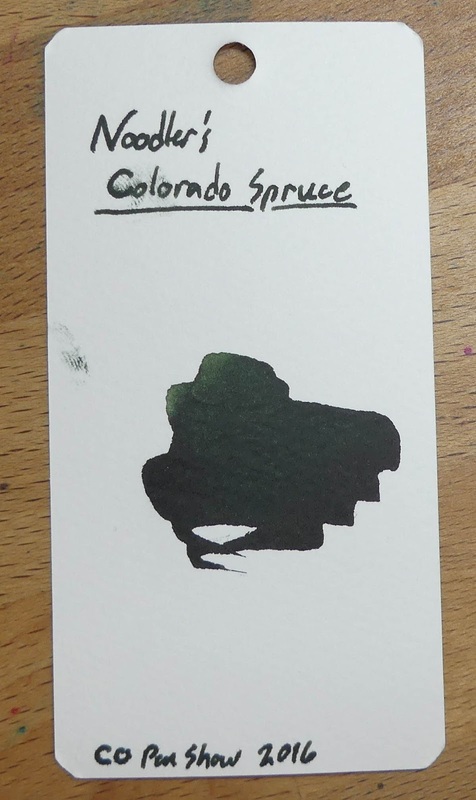 This ink is a super-dark green that is so saturated that it could be a black. Some people like to dilute inks like this to bring out the color a bit more, and I bet you could do that to good effect with this ink. 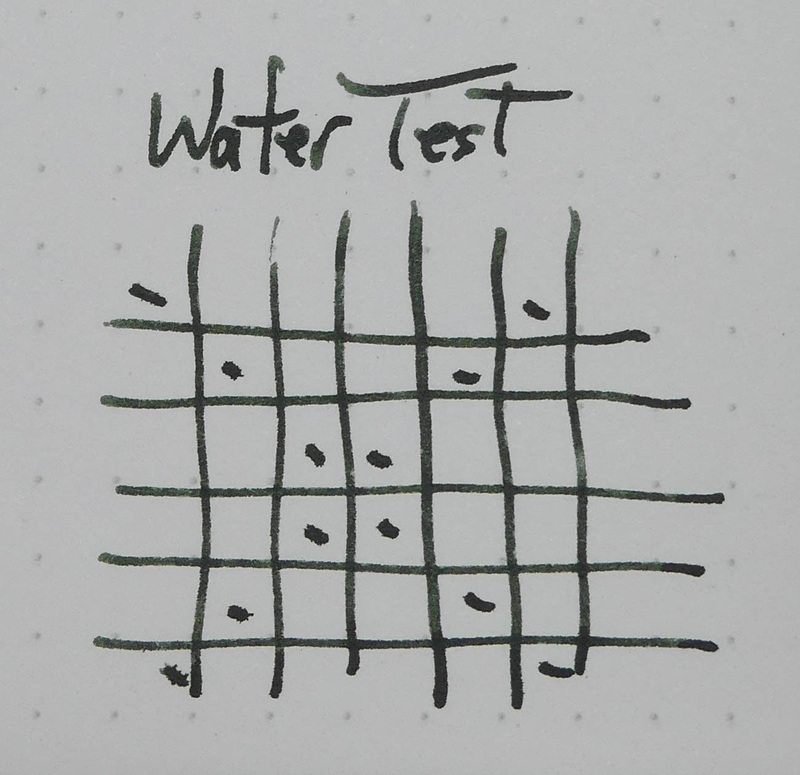 The saturation doesn't seem to affect the flow of this one, though, as I'd say it's a medium-wet ink. I had it in a couple of pens from Faber-Castell's Ondoro line, and those run a little bit wet. The performance of this ink could have been a little bit better. 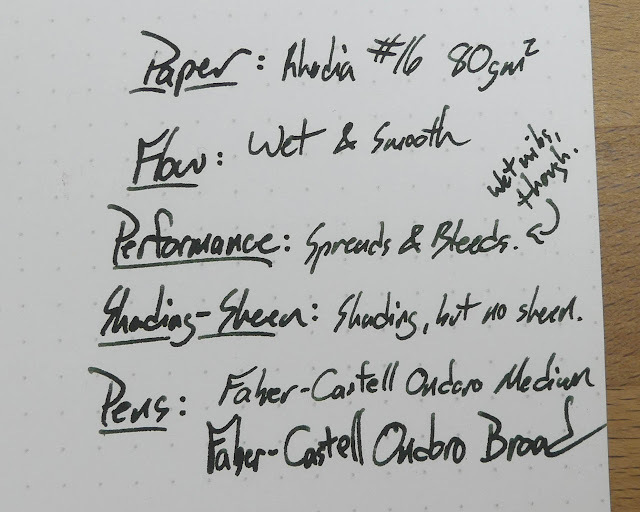 These are pretty wet nibs, and there was some bleeding from the broad nib and some feathering and spreading all around. I think you might like this ink better in finer nibs. The other issue that I had was that the dry times were pretty long. 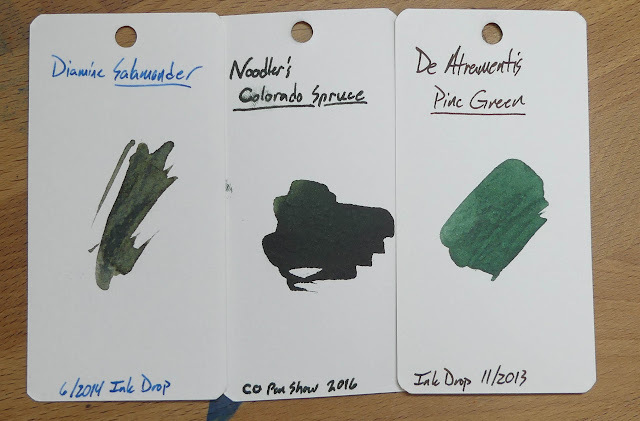 Where the ink is thickest it can take quite a while to dry. You'll see some more of that below. Also below: Chromatography! A video! 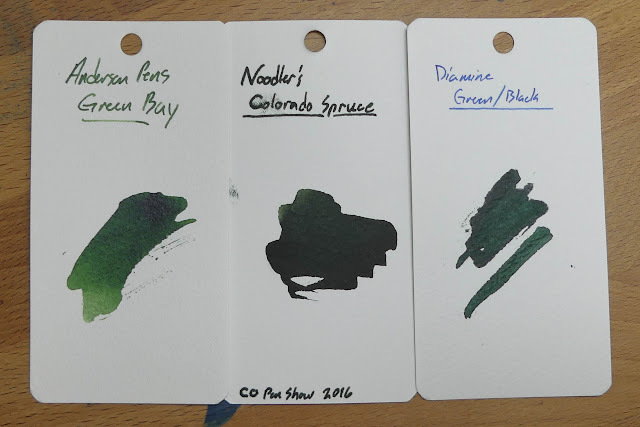 A whole lot of color comparisons! More! Etc! 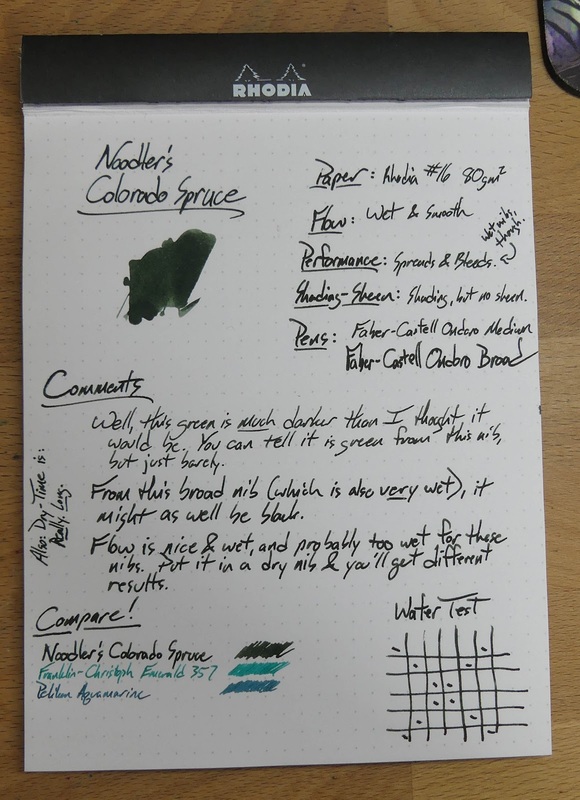 The image below is of the ink on Tomoe River paper in an Ink Journal. The Maruman Word Card below had the worst dry-time. You can see a smudge and a finger print on the card. 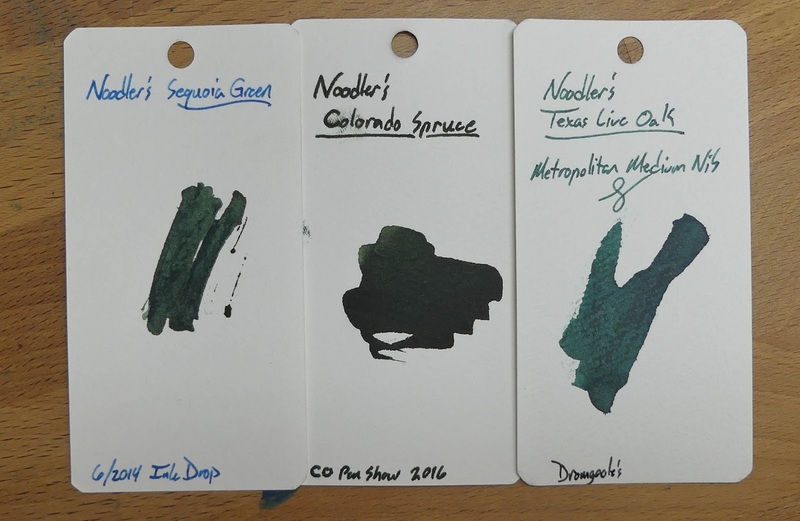 I thought it was dry after quite a long time sitting on my desk. I was wrong. The bottom edge of the swatch didn't dry for HOURS. 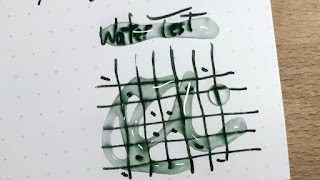 Of course, most pens can't put down enough ink for this to be a problem, but dry times are generally long with this ink. Lefties beware. 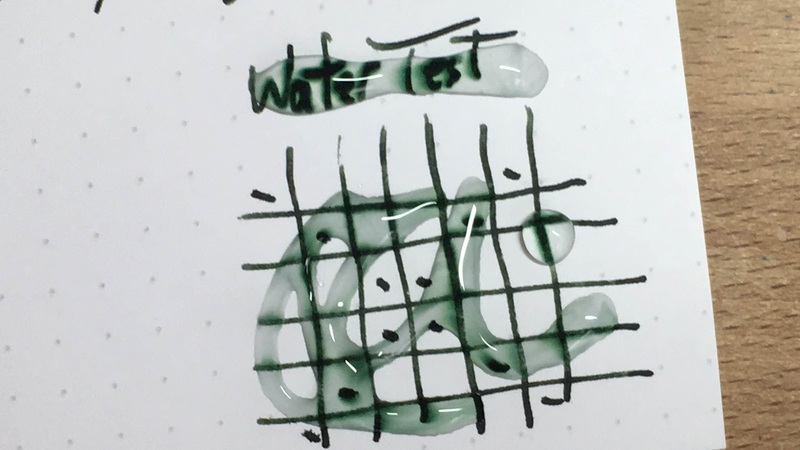 This ink has way more water resistance than I thought it would. 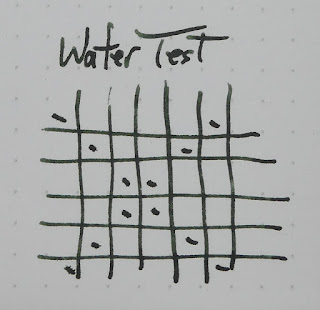 Not perfect, but totally legible after being hit with some water. 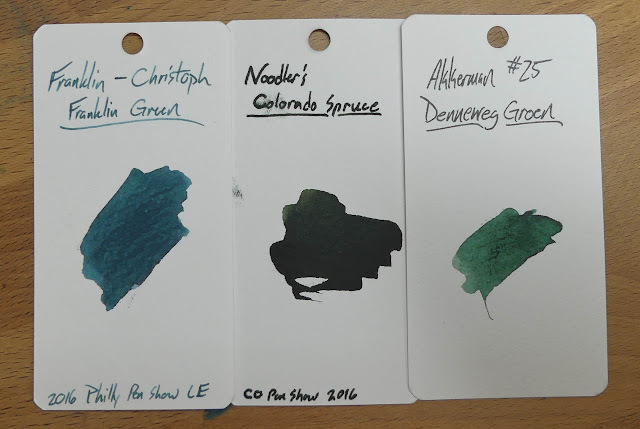 This isn't going to make it into my list of favorite greens, and I guess that's okay. It's a limited release, so it's not like I could get more of it if I wanted to. The color is intensely sprucey, and the flow is good. Let me know your favorite green ink in the comments! Hey! Thanks for reading to the bottom. I don't know how many people do that, but you did. Good for you! 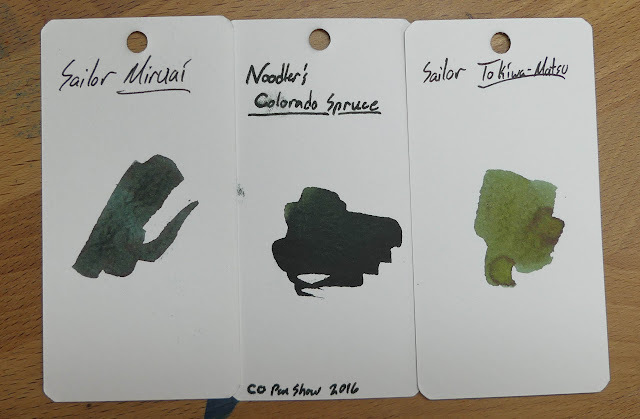 Favourite greens: Noodler's Zhivago and Sequoia, Diamine Evergreen and Salamander, Sailor Miruai. Oh yeah, I remember liking that Zhivago, and I love Salamander and Miruai.